CanForge is a leading North American supplier of exceptional forged products. One of the most important materials included in our forged product line is alloy steel. Alloy steels encompass a wide range of iron-based metals which contain higher levels of chromium that do not exceed 3.99%. Metals that contain greater amounts of chromium are classified either as tool steels or stainless steels. Alloy steels vary in their alloying elements which determine the properties of a particular material. • 4130, 4140, 4150. Alloy steels 4130, 4140, and 4150 are all chromium-molybdenum steels. The elements molybdenum and chromium are used to strengthen these materials. Forgings made from these metals are tough with high fatigue strengths. • 4330, 4340, 8620, 8630, 9310. 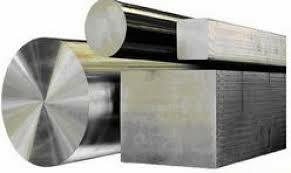 Alloys 4330, 4340, 8620, 8630, and 9310 contain chromium and molybdenum as well as nickel. The addition of nickel makes these materials useful for applications involving exposure to heat. Products forged from any of these materials can undergo hardening by heat treatment as well as case hardening and are known for good strength, toughness, and wear characteristics in addition to fatigue strength. • 52100. Alloy 52100 is a low alloy steel which contains high levels of chromium and carbon. These alloying elements allow 51200 forgings to be through hardened as well as resistant to corrosion. • NITRALLOY 135™. A low alloy steel, Nitralloy 135™ is known as a nitriding grade and is a good material for case hardening. Products forged from this material exhibit high levels of resiliency and hardness. Please visit the Forging Materials page to learn more or call us today toll free on +1 800 263 0440, or email us, or complete our Request For Quote form.